Dr. Robert Casares recently launched a monthly podcast in collaboration with the International Association of Marriage and Family Counselors (IAMFC). 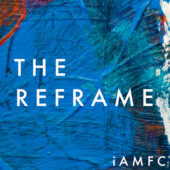 His podcast, entitled The Reframe, features hour-long conversations with leaders and legends of the counseling profession, focused on timely mental health issues, cutting-edge research, and innovative clinical approaches. Dr. Robert Casares released the first episode of his podcast, The Reframe, in August 2018. Episode 1 features an hour-long interview with Wake Forest University Counseling Professor, Dr. Sam Gladding, who discusses his philosophy of leadership, highlights the benefits of humor and creativity in counseling, and recounts fond memories from his over 40 years as a counselor, professor, author, and leader. The Reframe is released on the first Tuesday of each month and is available for free in Anchor, iTunes, Google Podcasts, and Spotify. Dr. Robert Casares is an Assistant Professor in the Department of Counseling at Wake Forest University. He received his Ph.D. in Counselor Education and Supervision from the University of Holy Cross in 2016. He currently serves as the Chair of IAMFC’s Technology Committee and Podcast Committee.